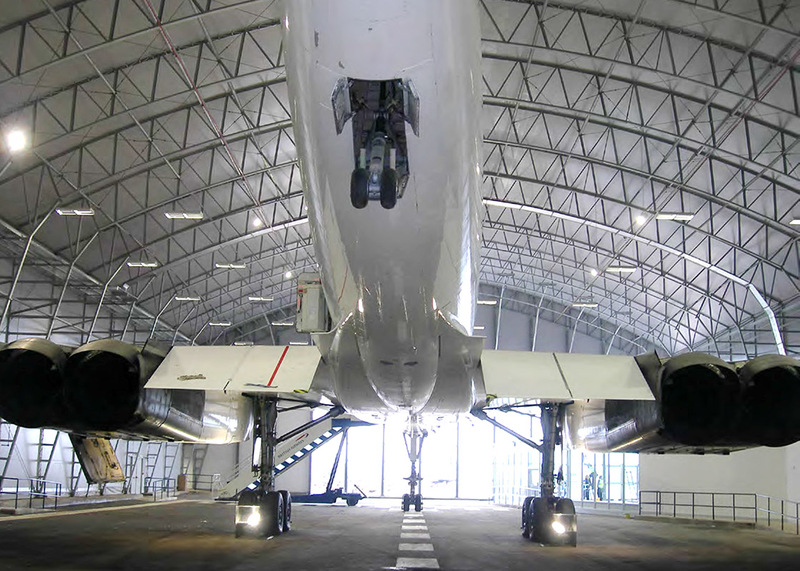 MANCHESTER AIRPORT DEVELOPMENTS LTD SUCCESSFULLY BID TO EXHIBIT THE BRITISH AIRWAYS CONCORDE AT THE MANCHESTER AIRPORT RUNWAY VIEWING PARK. 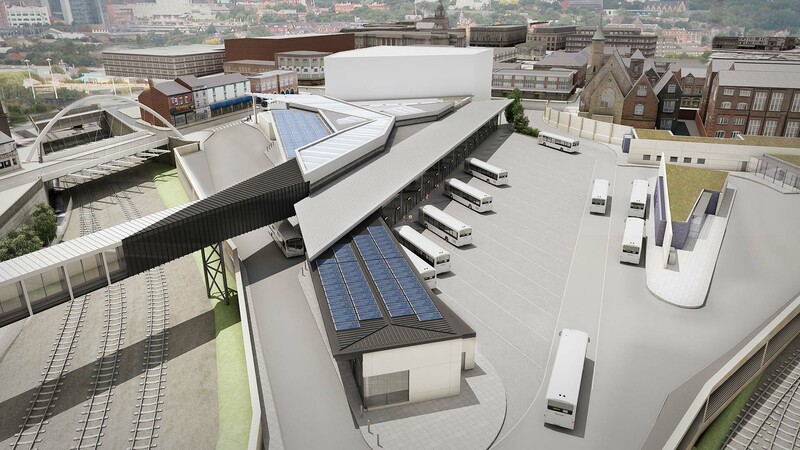 THE AIRPORT’S ORIGINAL PROPOSALS INCLUDED A COMMITMENT TO PROVIDE COVERED ACCOMMODATION AND SO THE PRACTICE WAS COMMISSIONED TO DESIGN A PURPOSE-BUILT 1,600M2 HANGAR TOGETHER WITH A VISITOR CENTRE WHICH PROVIDES CAFÉ FACILITIES, AN EDUCATION CENTRE, A MUSEUM, RETAIL SPACE, CORPORATE MEETING FACILITIES, AND AN ADMINISTRATION AREA. The visitor centre was designed as a PVC-covered steel structure supplied and installed by De Boer with a glazed gable end to provide a clear view of the aircraft. This design was selected as it enables the structure to be relocated at a later date if required as part of the ongoing development of the airport. Manchester Airport was keen for the new facility to be as environmentally friendly as possible, as a result of which the structure is heated using a woodchip burning biomass boiler taking fuel from local sustainable resources.